Drake recently got access to unreleased Michael Jackson vocals for his Scorpion cut "Don't Matter to Me," proving that the King of Pop's estate isn't as impenetrable as it often seems to be. Could Chris Brown or DJ Khaled do the same? That's... debatable. Neither has quite the sway that Drake does in the music business, and although there was a time when Breezy was often compared to the singing/dancing double-threat, his career hasn't exactly taken the same path as Jackson. Topping our chart this week is a leak from Chris Brown that contains a very obvious MJ sample and is alleged to be an outtake from a Khaled session. Brown ostensibly leaked it because he was frustrated with Khaled not putting it on his upcoming album, but who knows if the sample would've even been cleared. As far as most appearances in the Top Ten this week goes, we've got Quavo and Travis Scott in a tie for first with two songs apiece. New songs barely missing out on spots this week include Mac Miller's "Inertia" (#11), Travis Scott, Stevie Woner, James Blake, and Kid Cudi's "Stop Trying to Be God" (#12), GRiNGO and Tekashi 6ix9ine's "ZKITTLEZ" (#14), and Future's "Scammalot" (#15). The only holdover from last week's Top Ten is one of two Uzi tracks that leaked out two weeks ago. Compared with "Introvert" the second of the pair, "Everything Lit" fared much better on our chart. Whereas the former is down 34 places from last week, the latter only slides eight places in its second week out, falling from #2 to #10. We're now less than a week away from the release of Trippie Redd's debut album, Life's a Trip, and as a teaser, the Ohio rapper dropped off a taste of the album last week. "Together/Bigger Than Satan" is a drumless strummer that's a little too aimless to be a single, but it's been anticipated by Trippie's fans for months. It debuts at #9. R&B up-and-comer H.E.R. is slowly letting us into her world, revealing her identity recently and sharing a new EP last Friday. As its title suggests, I Used to Know Her: The Prelude is just a warm-up for her eventual debut album, and this duet with Bryson Tiller certainly seems to have gotten people's attention. "Could've Been" debuts at #8. Hailing from Atlanta, Lil Baby couldn't live much further from Seattle, Washington (at least inside the continental US), but he was apparently inspired during a recent trip to the Northwest. This brief track, named for the city in which it was recorded, debuts at #7. At the same time that Travis Scott, YG, and Mac Miller released their new albums on Thursday night/Friday morning, mixtape veteran DJ Holiday shared a new single. "2 Seater" features fellow Atlantans Quavo and 21 Savage and it debuts at #6. Speaking of DJs, Travis Scott, and YG, DJ Mustard also chose to share a new track last Friday, and it just so happens to feature the two rappers in question. Mustard chose the release date wisely, as Travis and YG's names were sure to be trending at the time of the "Dangerous World" drop. It debuts at #5. Possibly the biggest collab on an album full of them, "Sicko Mode" brings Travis and Drizzy together for the first time since last year's "Portland" from More Life. Also featuring Swae Lee for a few seconds and a Tay Keith beat for the last third, the Astroworld cut seems to be the early-front runner for fan-favorite. It debuts at #4. In addition to executive producing the Superfly soundtrack and putting out Beast Mode 2 with Zaytoven, Future's also spent the past few months dropping off loosies on his YouTube page. The melodic "Translator" is, along with "Scammalot," one of two that he dropped last week, and it debuts at #3. In a similar situation to what happened with Migos' star-studded remix of Cardi B's "Drip" a few weeks ago, PartyNextDoor saw a remix of his song "More" leak out this past week in low-quality form. In its first incarnation, the remix only featured Quavo, but in the official version that arrived the next day, Lil Wayne was added to the mix. This finalized "More" remix debuts at #2. 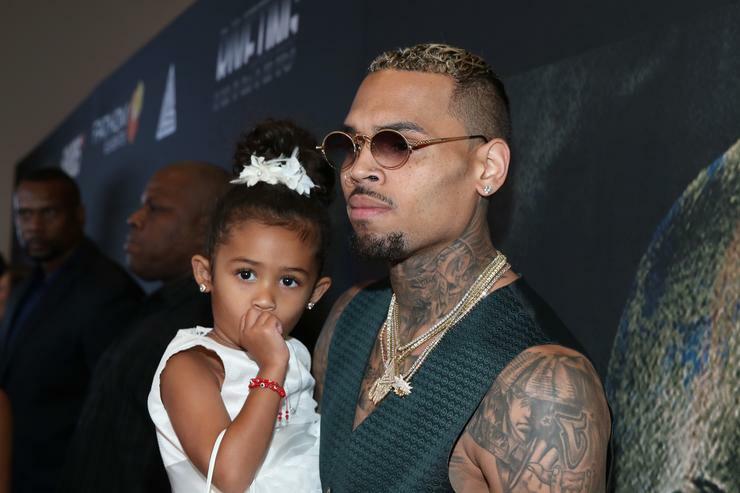 As mentioned in the introduction, Chris Brown took to his SoundCloud page this past week to drop off a most-likely-unlicensed version of a new ong that samples and interpolates Michael Jackson's "Rock With You." Based on the title, it may be an outtake from DJ Khaled's upcoming album Father of Asahd that either didn't make the cut or couldn't get cleared. Whatever the case, it's still online and debuts at #1.